I had needed orthodontic treatment since my childhood. Finally, I convinced myself to start this treatment and I had started to search details about my treatment when I was 24. Firstly I learnt most of things through internet, then I visited 5 or 6 clinics before starting the treatment. Then I compared consultations, prices, clinic cleanliness and locations. Some of doctors said that your teeth were too crowded, and we need to extract one tooth from each side and there is no other option. But I didn't want to lose my teeth so I went to other clinics. 2 of the doctors said no need to extract any teeth just slightly your teeth would come forward and no one could notice that. This was the option which I was looking for. Then I compared cleanliness and prices. Both of the clinics were clean and hygienic. But in one of the clinic, doctor told me only 2 types of the braces and prices were high. Finally I chose Smiles'n More. Because of 1. Explanation and consultation of Dr. Divyashree 2.Offered me different types of braces 3. Price and 4. Cleanliness . The result of the treatment is very good. All my family and friends are suprised when they see my teeth. I suggested this clinic to all my friends. Most of my friends are happy to go there. If anyone is going to start orthodontic treatment, I suggest this clinic and Dr. Divyashree. First of all I want to say thanks for your smiling face and to provide me good smile. I like the clinic and it’s atmosphere. After this time I want to continue to come here for treatment and maintenance.Thanks a lot! Very Well done clinic. Patient Friendly staff that provide good service. I came here for Orthodontic treatment with Invisalign. I am extremely happy about the treatment by Dr.Divyashree and supporting staff. Very friendly and professional atmosphere and more over the doctor explains different treatment options in detail. Also gets prompt replies for the queries via mail or Phone. It was a great and pleasant experience here. Doctor was cool and excellent to figure out the issue and fix it with great expertise. Thanks for the wonderful treatment. The Clinic and the treatment was very good. I don’t have any pain and I am so happy now. Thanks a lot Doctor. I am glad I came to this clinic. It was the right choice .The doctors Dr. Abhilash P.R. and Dr. Divyashree did a wonderful job for the capping of my teeth. 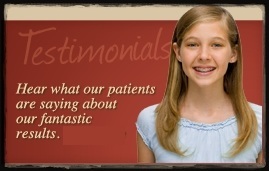 Dr. Sindhu is also very friendly & makes you feel homely & comfortable.